An opaque white polypropylene film coated with a permanent pressure sensitive adhesive. 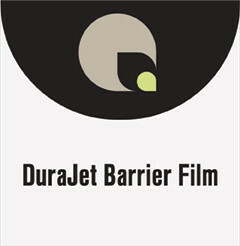 DuraJet Barrier Film is formulated for UV curable printers. Combine it with DuraVinyl 262 or 263 Clear Low Tack Vinyl to create the ideal opaque double‐sided window graphic. Ideal for push pull decals, POP advertising, large‐format two way window signage.